If you need to replace a missing tooth, visit an implant dentist. 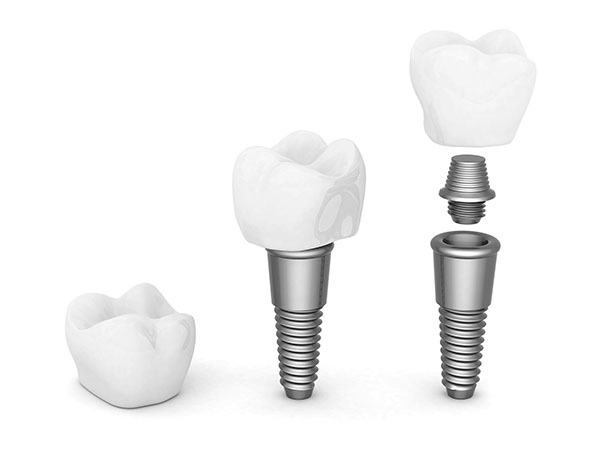 Dental implants are an ideal way to replace your tooth because they provide a durable and sturdy solution that is just as strong as a natural tooth would be. Unlike other options, implants allow you to maintain an active lifestyle and eat all of your favorite foods without worrying about your tooth becoming damaged or loose. This procedure has a surgical element because the dentist implants a metal post under the surface of your gums and attaches it to the jawbone. This is what makes implants so strong. Over the course of several months, the two elements will fuse together during a process called osseointegration. Once they merge, a new root system will have been created that is as strong as a natural one only better because metal cannot become infected. After the implant dentist has placed the metal posts under your gums, there will be a recovery period and it is important to take these steps to ensure that your gums heal quickly and that there are no complications. Anything that could move the posts out of place could create a problem and delay the completion of the procedure. It is important that you stick with soft foods. Before your surgery buy yogurt, apple sauce, Jell-O, oatmeal, rice, and other foods that you can eat without causing trauma to your gums. Make sure to avoid anything that could have crumbs as these little pieces could become stuck in the small areas of your gums, teeth, and the surgical site. Soft foods should be eaten for at least a week, and we will give you more specific instructions at your follow up appointment about what is safe to eat during the remaining healing process. After the implant dentist has placed the posts, it is important to avoid strenuous physical activity. Once your gums have healed, you can go back to being incredibly active but at first you need to be careful. Avoid running and playing sports while your gums are healing. Instead, try walking or doing something gentle, like yoga. After any surgery or major procedure, you need to give your body plenty of rest so that it can focus on the healing process. The more you run around, the less energy your body will have to focus on healing your gums. Take a few days off work and stock up on the movie rentals for some quiet time and relaxation. Don’t smoke or use tobacco products after your procedure. This is extremely important as they could lead to an infection. You should also avoid sticky and sugary foods and candies. Don’t drink alcohol since it will limit your body’s ability to heal itself. If you are a diabetic, make sure to tell your implant dentist before the procedure takes place. There are additional care steps that a diabetic must take before and after the procedure to ensure a fast recovery time and blood sugar levels must be kept under control.